Thank you for visiting the website of Stichting Wielerpromotie Het Groene Hart. 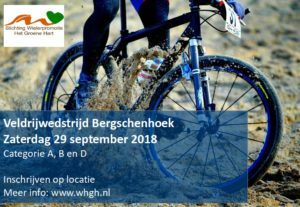 We organize mountainbike races in The Netherlands. At this moment we’re preparing for the 2018 season and our races in Spaarnwoude and Zoetermeer. The race at Spaarnwoude is part of the XLC 3 Nations Cup. It will be held on June 23 and 24. The season contains ten races in The Netherlands, Belgium and Germany. International riders can register at the website of KNWU. The race at Zoetermeer is also part of the XLC 3 Nations Cup. It will be held on August 25 and 26. But before that, on Friday 24 the Dutch Championship Eliminator (XCE) will take place. International riders for the 3 Nations Cup can register at the website of KNWU. We hope you will attend on (one of) our races.